Have you noticed Easter is emerging as a popular celebration with a real sense of occasion? Of course children hold the holiday close to their hearts (and stomachs), with the promise of lashings of chocolate and other Easter-themed sweets. Traditionally in the Northern Hemisphere, Easter is synonymous with the season of spring. Pretty floral colours of soft pinks, sky blue, mint and pale lemon are used to style a table setting for an at-home brunch, though many of us now choose to have it later in the day with a lunch. 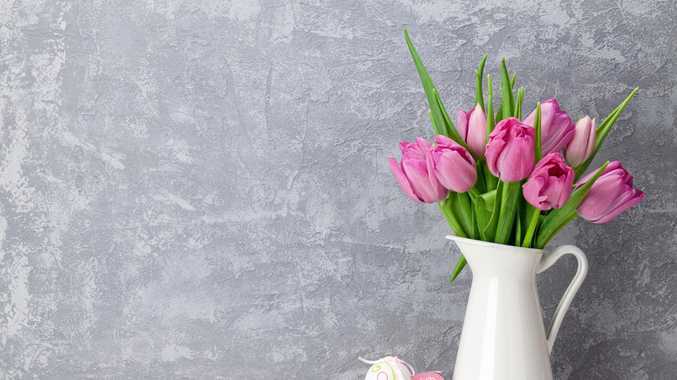 While we're heading into autumn in Australia, you can still embrace this sense of spring with your Easter- themed decorating. The good news is there is no need to spend big. Small vases of pretty pale flowers are perfect for a table centrepiece. If you can't access fresh, pastel-coloured flowers, try strewing fresh greenery down the centre of the table. You can then add some painted eggs or beautifully covered chocolate eggs, artfully strewn through greenery on the table or piled up in pretty baskets or crystal bowls. Bunting is now available at reasonable prices at most big stores. Choose the pale spring colours mentioned above. For other decor pieces, utilise items you already have, such as candles, tablecloths and napkins, preferably in spring shades.